Dr. Cullen Jumper is a considerate and thoughtful urologist serving the community of Exeter, New Hampshire. Dr. Jumper attended the University of Connecticut, where he received his medical degree, and completed his residency at Darthmouth-Hitchcock Medical Center. He also completed his bachelor’s at College of the Holy Cross. 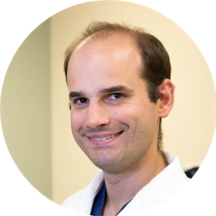 Dr. Jumper is a part of Atlantic Urology Associates - Exeter. He is certified by the American Board of Urology and is affiliated with Catholic Medical Center, Manchester, Exeter Hospital, Exeter, and Portsmouth Regional Hospital, Portsmouth, NH. He sees patients for urology consultations, incontinence, prostate cancer, as well as other specialized reasons. Dr. Jumper is uncompromising in his dedication to the well-being of his patients. He is committed to giving the best care and establishing long-lasting relationships with them. He is committed to helping his patients enjoy a healthier lifestyle. He works with each one to discuss ways they can make better choices for their health.